Congratulations on owning a new kitten! 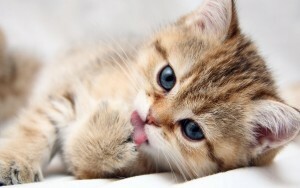 There are several very important measures you need to take to keep your kitten happy and healthy. (1) Vaccination – The 1st is normally given at 8 weeks of age and begins protection against Feline Respiratory Disease and Feline Enteritis, potentially fatal diseases. The 2nd vaccination is given at 12 weeks of age. We also strongly recommend vaccination against feline leukaemia and feline immunodeficiency virus (FIV), as these are particularly prevalent in this area. (2) Intestinal Worms – Regular worming is essential. We recommend fortnightly worming from 2 weeks of age until the kitten is 3 months old. Then monthly until 6 months of age, then every 3 months for life. This is very important if there are small children in your family. (3) Fleas – Ticks in cats are not as common as dogs, however fleas can be a problem. There are many products available for flea control and their suitability depends upon your situation. Please consult us for free advice regarding your kitten. (4) Feeding – Offer your kitten 3 meals a day up to 12 weeks of age. After this, 2 meals a day are ample. Cats are proper carnivores, unlike dogs and humans, and it is very important that they receive a properly balanced feline diet. We recommend one of the best commercially prepared kitten foods and would highlight the need for fresh water at all times. Cats often like and will drink milk but it is not a necessary part of their diet. Supply kitten food in the form of biscuits for at least one of the two meals to provide healthy teeth and gums. Avoid supplementary feeding to prevent your kitten becoming fussy with its food and finally, avoid overfeeding as this can lead to diarrhoea, obesity and associated health problems. (5) House Training – Kittens are usually very clean when it comes to their toilet and will use a litter tray with very little prompting. Make sure it is easy for them to reach and you will find that they ignore all other tempting spots in the house such as pot plants, behind the dish washer, plies of washing etc. 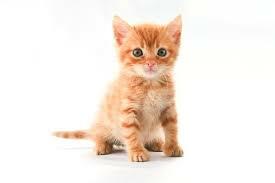 If you wish to make sure the kitten learns to defecate outside, try to anticipate the event by placing him or her on a patch of soil after feeding and play periods. Positive reinforcement when the kitten does what you want it to is far preferable to scolding after a mistake inside. (6) Desexing – Both male and female cats should be sterilised at 4 -6 months of age unless you have serious intentions to breed from them. (8) Wildlife – Many kittens grow up into effective hunters regardless of how well they are fed. Be a responsible owner and take precautions to ensure the local lizards, birds and small mammals are left alone. Invest in a cat collar with a bell or beeper that warns the animals that the cat is nearby or keep the cat inside at night so their nocturnal wanderings can be curtailed.